Liverpool boss Jurgen Klopp congratulated Dejan Lovren on progressing to the World Cup Final with Croatia via text. Last night, the Baltic nation with a population of just four million deservedly defeated England 2-1 after Extra Time, coming back from an early Kieran Trippier free-kick and sending Gareth Southgate’s boys home. While it was heartbreak for Jordan Henderson and Trent Alexander-Arnold, Lovren will now start the final against France on Sunday. 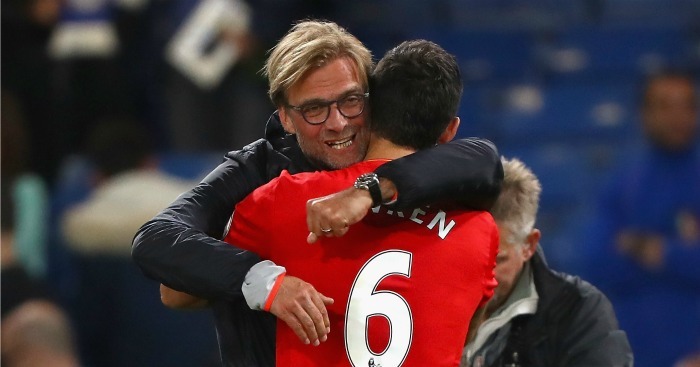 Klopp told the 29-year-old how proud he is, especially after the troubles he’s endured over the past few years. Lovren has been abused by his own fanbase, was hauled off after 31 minutes earlier this season for a shocking performance v Tottenham, received death threats, had hid house burgled and everything in between – but has risen from the ashes and is shining in Russia. Poetically, it was Harry Kane who bullied him on that infamous Wembley afternoon, but he pocketed the England striker, who didn’t have a sniff after he missed an early chance.